File this one under, "Just Go For It" or "Take a Risk, It'll be Worth It." 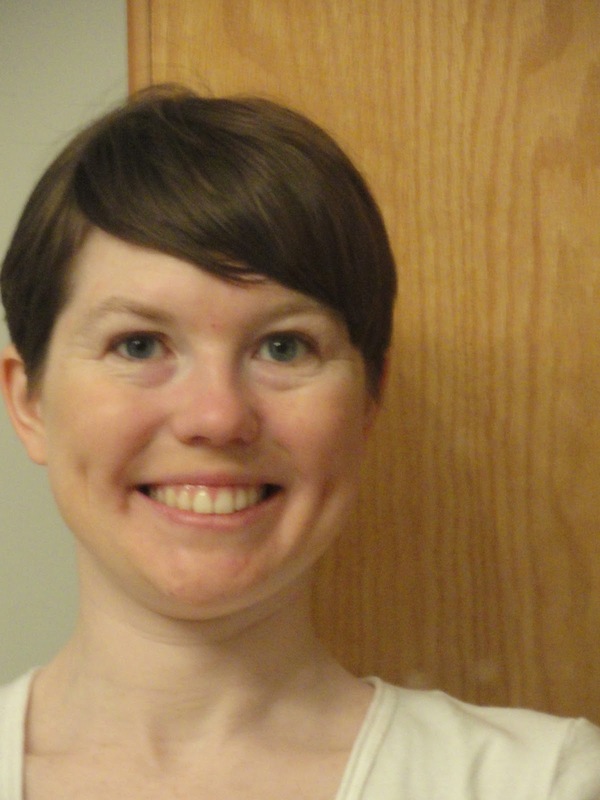 My hair had gotten to be about as long as it has ever been - I had started growing out my chin length bob in August 2011 after getting engaged (a typical female tale, I'm sure). After our 2012 nuptials, I decided to keep it going for awhile, only scheduling a couple trims over the last ten months. Sure, I was saving money by not going to the salon, but the heaviness was starting to get to me - especially with the heat index creeping up now that we're into June. 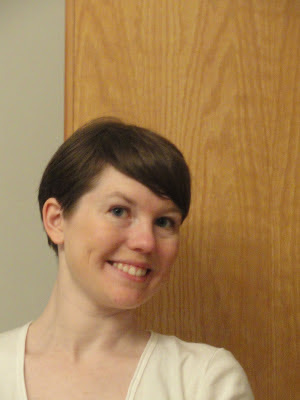 I just came off of two weeks of work travel and decided to pull the trigger upon my return and chop all my hair off. This isn't new to me - over the years I've gone extreme several times. As I like to say, I have no loyalty to my hair and don't shed a tear when it all gets cut off. It grows pretty quickly so I always know it won't be long if I really can't stand the cut anymore. 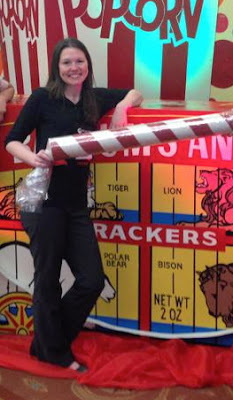 For reference, here is one of the most recent photos of me - in case you are wondering, one of the events I was at had a Carnival theme so I am posing with giant popcorn, candy and animal crackers. You know, a typical Wednesday night. My inspiration binder (pre-dating Pinterest) has pages of hair styles cut out of magazines over the years. One page features pixie cuts that I've never had the guts to take on fully. The short hair girl du jour is definitely Ginnifer Goodwin! A google image search gave me plenty of options to see how short I was willing to go. I have a round little head like hers, so figured it wouldn't look too terrible on me. I was more concerned with how thin my hair was, but some volumizing spray and a bit of texture-providing pomade should be enough to keep my blow dried 'do in place. I booked the appointment and put my trust in J. Gordon Designs - I've been going here most of my time in Chicago. I came for the location (I used to live down the block), I stay for the shoulder massage after getting shampoo'd! Pardon my wandering eyes in the photo above - I attempted to take a selfie with my camera in the mirror and couldn't get the eyeline just right. Pretend I'm listening to someone say something extremely interesting off camera. My challenge now is maintenance. Day to day will be easy enough, it dried in about three seconds this morning after a shower and I even treated myself to a new hair dryer and a Target shopping spree in the beauty aisle to help keep me going with styling it each day. But a salon visit every five to six weeks to keep my fast-growing hair trimmed? Hopefully I can stick with it so my hair isn't down to the middle of my back again this time next year! So with summer upon us, what new risks are you taking? What are you "just going for?"